Although contraception is widely available in most parts of the United States, there are still many barriers that keep individuals from accessing the contraceptive method that is best for them. Access to the full range of contraceptive options is essential to having control over our bodies and our lives. 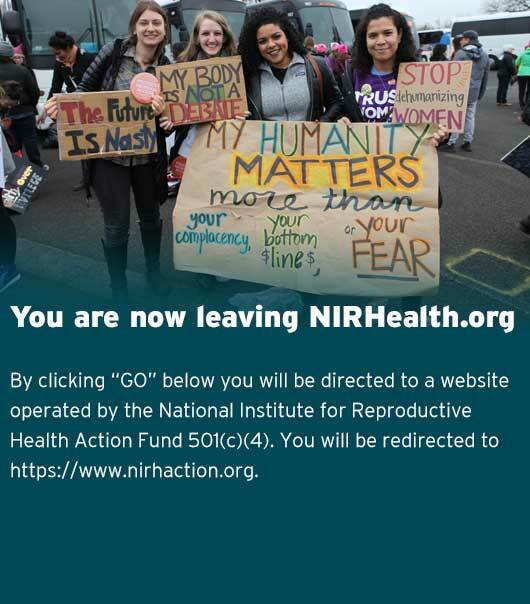 NIRH is committed to expanding access to contraception through lifting policy barriers and expanding insurance coverage, so that all individuals can make the decisions necessary to lead healthy reproductive lives. NIRH supports policies that ensure access to the full range of methods of contraception and non-coercive, inclusive contraceptive counseling, and is committed to increasing knowledge of and access to underutilized contraceptive options in ways that center and honor patient autonomy and decision-making. NIRH also supports policies that ensure that all insurance coverage, whether offered privately, by employers, or through the government, provides coverage all methods of contraception and non-coercive contraceptive counseling with no cost-sharing on the individual and without barriers or delays. NIRH is committed to partnering with organizations to remove barriers to contraceptive access using a framework that centers around patient autonomy and choice. Many forms of contraception, such as long-acting reversible contraception (LARC), have been historically underutilized because of lack of provider training, lack of public education, and high cost to providers and consumers. Although public health officials in some areas have encouraged LARC use, they have frequently targeted their efforts at marginalized communities and particularly women of color, who have historically experienced many forms of reproductive oppression, including forced sterilization, and may view such programs with warranted distrust. To ensure reproductive freedom, it is important that reproductive coercion in any form be eliminated, and every person must instead be provided with comprehensive, scientifically accurate information about the full range of contraceptive options in a medically ethical and culturally competent manner.